The Drunk Monkey Mind - An amazing six part video series! Who is the Drunk Monkey in your mind? Master Motivator Matthew Ferry, presents five videos on the Monkey Mind he affectionately refers to as the Drunk Monkey. Could these Irish monkeys be the next big Riverdance Stars? Are the monkeys actually Irish? We may never know the answers to these questions. All we really know for sure is, they're not talking and they sure can dance! 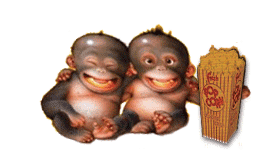 News Anchor Monkeys Talk on TV Just like the real news, with ad-a-monkey twist. Watch these great new anchor-monkeys announcing the 5 o'clock news. Of course you'll have to watch the silly monkey ads first! Click Here To Watch the Classic 1940 Chiquita Banana Animated Commercials! Come on... give Your Monkey Mind a treat. Monkey Minds love to watch videos!!! 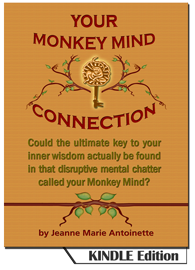 Discover "Your Monkey Mind Connection"
Or...DOWNLOAD the new KINDLE Edition for only $6.99! 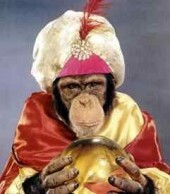 COULD PSYCHIC MONKEYS BE THE MISSING LINK?